Quiet and clean. Right in the heart of the historic area. 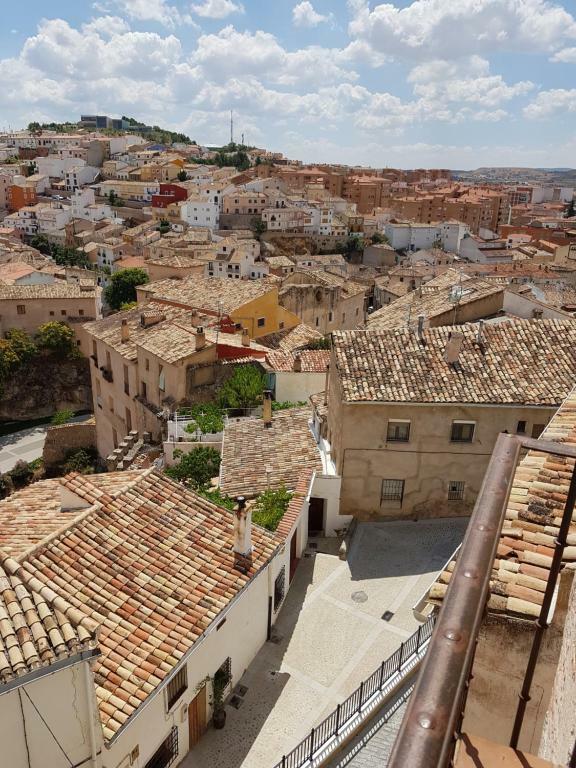 El Rincon de las poetas has the perfect view and it is very close to the center of Cuenca, and you can easily walk to the hanging houses. From this place we the day after vistited "La ciudad encantada", it is one of the most expectacular sites, we have seen in a long time and beats the hanging houses. This is a quiet romantic little retreat in an already breathtaking town. The owner is warm and generous. Perfect for poetry lovers. We liked it so much we returned twice. It is tucked away alittle bit off the main streets and can be difficult to find on first pass.. Ideal location in old town. Very tranquil. Comfortably decorated. The owner doesn't speak English, but she asked somebody to help her to explain us where we can park our car. We arrived later than 23:30 and she waited us. The hotel is located in an old house which has been beautifully renovated and decorated with much attention to detail, very cozy atmosphere. Room was nice and cool during the hot summer days due to its location below ground. The location was fantastic and easy walk to the old town, and proptery manager was very helpful. The building is beautiful and had great views. Las atenciones del personal. Desde un par de días antes del hospedaje, la propietaria ya se puso en contacto con nosotros para facilitarnos la estancia en el alojamiento y conocer nuestras necesidades. El día del check out nos permitió devolver las llaves más tarde de la hora estipulada para no tener que estar cargando con los equipajes el último día de visita a la ciudad. Incluso después de devolver las llaves detectamos que nos habíamos dejado algo en una de las habitaciones, y ella rápidamente lo gestionó para que nos llegase por correo. El alojamiento es precioso. 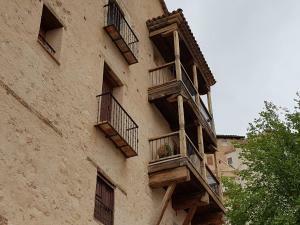 Está ubicado en el mismo casco histórico, y las habitaciones son muy espaciosas y están muy bien acondicionadas y aclimatadas. 100% recomendable. Zona tranquila y sin ruido por la noche,cama cómoda y las vistas espectaculares. Lock in a great price for El Rincón de los Poetas – rated 8.9 by recent guests! El Rincón de los Poetas is a 17th-century building, located 1,650 feet from Cuenca’s famous Hanging Houses. These charming apartments offer free Wi-Fi, flat-screen cable TV and a hydromassage bath. 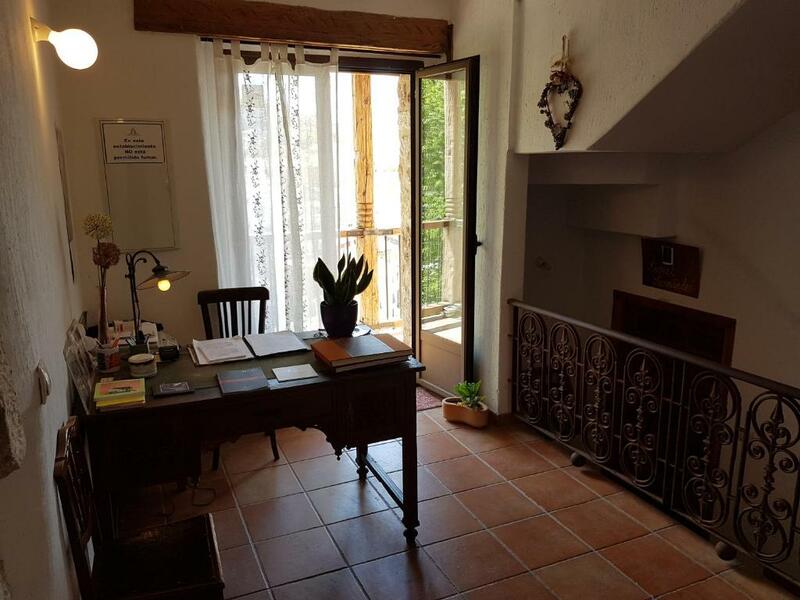 Each spacious Rincón de los Poetas apartment has a balcony, overlooking the old town. Apartments have central heating, wooden floors and country-style décor. Kitchenettes include a coffee maker, microwave and fridge. 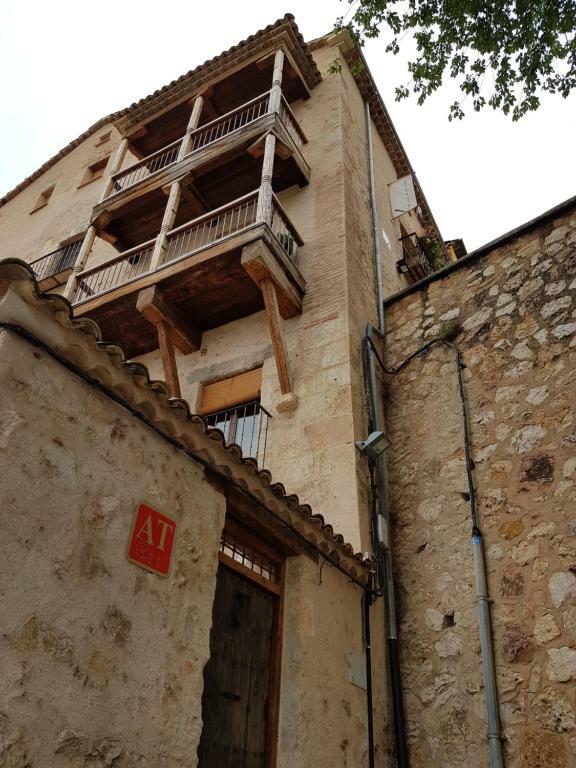 Apartamentos el Rincón de los Poetas is located in the historic center of Cuenca, a UNESCO World Heritage Site. The Huecar Gorge is just 800 feet away, while San Julian Park is a 5-minute walk away. 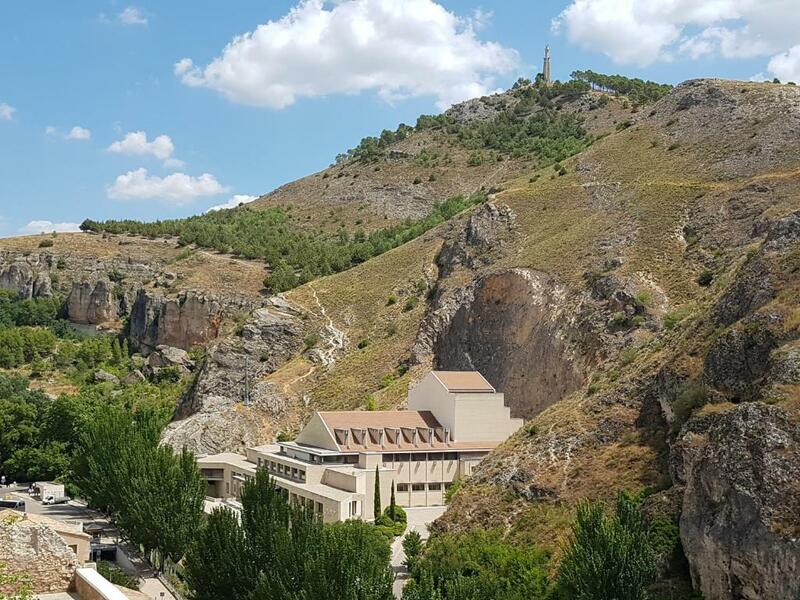 The apartments’ tour desk offers information about places of interest in Cuenca. Free public parking can be found nearby. 뀐 Located in the top-rated area in Cuenca, this property has an excellent location score of 9.5! 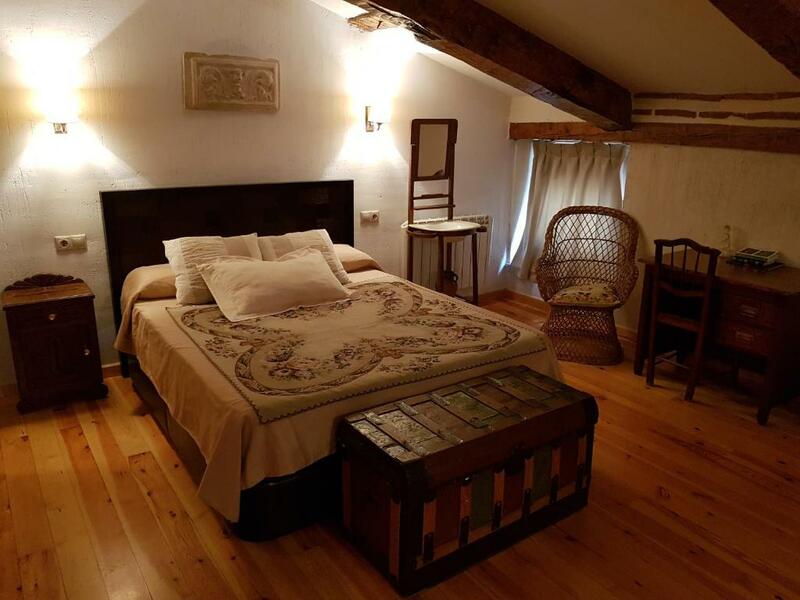 When would you like to stay at El Rincón de los Poetas? This bright studio with sloping ceilings is located on the highest floor of the property, with access through a elevator. It has a kitchenette, a living room with a TV and a bedroom in the same space. There is also a private bathroom. Private parking is available at a location nearby (reservation is not needed) and costs EUR 14 per day. This bright apartment can accomodate 4 adults, and includes a spacious living room and an open-plan kitchen. There is also a private bathroom. This rustic loft features 1 double bedroom and a lounge with a sofa bed and flat-screen cable TV. There is a balcony, and the kitchenette includes a microwave. This spacious suite features flat-screen cable TV, a separate seating area and great views. The private bathroom includes a hot tub. A diferencia de otros edificios de la misma época, El Rincón de los Poetas tiene ascensor para que su accesibilidad sea total. House Rules El Rincón de los Poetas takes special requests – add in the next step! El Rincón de los Poetas accepts these cards and reserves the right to temporarily hold an amount prior to arrival. Please let Apartamentos el Rincon de los Poetas know your expected arrival time in advance. You can use the Special Requests box when booking or contact the property. Please note that apartments may differ from the photos shown. Please inform El Rincón de los Poetas of your expected arrival time in advance. You can use the Special Requests box when booking, or contact the property directly using the contact details in your confirmation. Quiet and comfortable, wonderful views. I believe the suite was sold with a hot tub but I am still not clear where it was located! nice, but too expensive for that what it is. Amazing ancient house, full of charm. Sheet of the bed was with a 'repaired' hole. We were expecting with this amount paid to have at least a good pair of sheets. The rooms was not very clean, especially the floors were dirty, the apartment was VERY cold and VERY humid as if it had been without heating for days. The landlady was very nice, but at this price, I expect something better. We loved our stay, just a few things on why we didn't give it a perfect 10 rating: The toilet doesn't have a door (and there is no door between bedroom and living room/kitchen), so privacy is limited. The plastering is coming off the wall a lot, therefore there is a lot of sand everywhere and walking barefoot is not so nice. We couldn't get to the hotel by car to unload our luggage, so we had to carry everything from the public parking garage (12€/day). The apartment we had was lacking in some basics such as coffe cups and breadboard,and the apartment could have been a little cleaner. The matress was also rather hard. Very hard to find it. No free parking.